ADDICTION changed the formula of their two blushes, SS2018. The case is transparent now, it is cool, I feel. I bought a new one, ADDICTION Blush Trinity, previously named as Blush Mix, the trio blush palette. 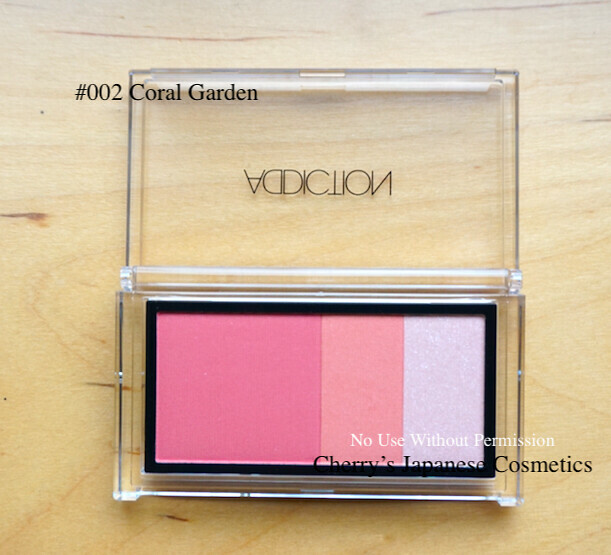 I bought this one, #002 Coral Garden. 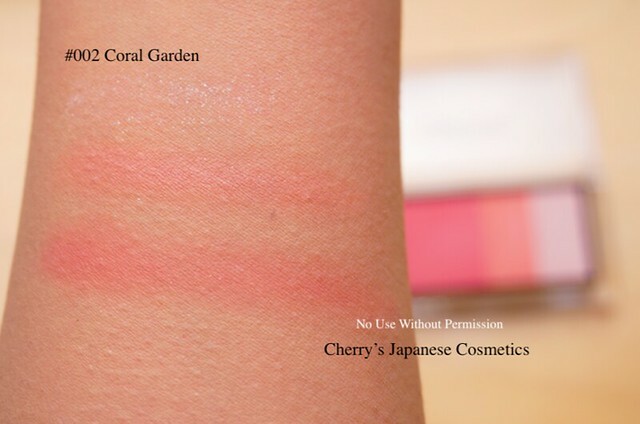 I was looking for coral orange or coral peach blush for current mode. 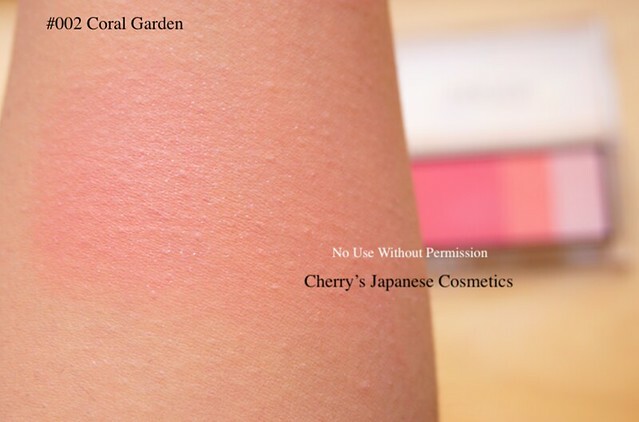 I have not experienced myself with the previous Blush Mix, in this Trinity, there are always “Pearl” part each of the blush. The “Pearl” is of course glitter. Let me show you the swatch on my arm. First picture is the very “swatch”, I mean showing each of the colour. Due to taking photos, I used my eyeshadow brush and placed several times each. The glitter is bigger than my preference. I was little bit disappointed. The second picture is with “one stroke” with my blush brush. Actually placed several times to show you. Recently I rarely put a gradient with the blushes. The glitter is not standing out too much with this way, isn’t it? I am so satisfied. Lasting is not bad. It is cold and dry — I know some of you he audience are from Northern part of the States or Europe, I know how it is cold and dry, you may say it is warm and humid in here, anyway it is colder and drier season in Japan. Due to my Asthma attack, I always wear disposable masks to keep my breeze better when I go outside. Yeah, some of my makeup are fading due to wearing masks, but I could see this blush remained with the glitters better. The foundation is Excel AL Lifting Emulsion Moist. I am not sure in Summer, but as long as this Winter season, the lasting is not bad, I felt.